When you’re trying to find the Best Modular Synth for your money, there’s a load of options available. Here’s a list of the best Modular Synthesizers you really need to try! A modular synth can add an entirely new dynamic to your sound, opening up a world of creative possibilities and some seriously cool sounds! Here's 7 of the best modular synths that you really need to try before you die! The Moog Mother 32 is one of the best modular synths available in terms of price and usability – this thing is completely fun to use and can be added to your existing set up with ease. It’s also the first table top based semi-modular synthesizer from Moog packed with a voltage-controlled, 32-step sequencer, LP/HP Moog Ladder Filter, and the all-important iconic Moog Oscillators with Pulse and Sawtooth waveforms so you can create the ultimate modular synth tracks. Although this has been designed to sit alongside the likes of the Moog Sub Phatty, DFAM, Werkstatt and Minitaur synths, it can easily be integrated into any modular desktop synth set up without any problem. 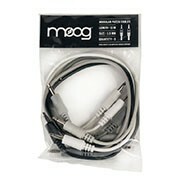 There’s an external audio output for use with outside sound sources, 5-pin MIDI input and MIDI to CV converter and 32 Modular patch points – Moog have also included 5 patch cables so you can start straight away. This is one of the best modular synths for those who want something to add to their Eurorack, but it’s also a great option for users who just want to add something new to their overall sound. The Arturia Minibrute 2 Semi-Modular Analogue Synthesizer puts a world of sound at your fingertips effectively combining a huge analogue tone with a step sequencer, arpeggiator and a modular patch bay section with Arturia's highly-regarded 'Brute' synth sound – there’s not a lot this can’t do. In addition, you’ve also got a Steiner-Parker self-oscillating multimode filter built-in as well as a powerful ASDR envelope section, CV/Gate and of course an expressive 25-note keybed with aftertouch for superb feel and response. If you’re just starting out in the world of Modular synthesizers, you’re in good hands. This a fantastic modular synth for those who want to create music quickly and easily thanks to the easy-to-use interface and the fact you get Arturia's MIDI Control Centre software included which allows you to unlock the Minibrute 2 as a controller keyboard with VSTs or Plugins. This can easily be integrated into your existing set up with minimal fuss and unlock a world of creativity. Ideal for beginners and professionals alike. The Roland System 1M Plug Out Semi Modular Synthesizer has been designed for professional musicians and those serious about creating music on their own terms. The cool thing about this modular synth is the fact that it’s fully self-contained meaning you can play with it as part of a rack system or on it’s own on a table. You can also play it from any standard MIDI keyboard or receive MIDI message from your DAW. There’s 19 colour-coded CV/Gate and audio connections with LED lighting so you can see where you are at all times, extremely versatile oscillators with six waveforms as well as Crossmod, Ring Mod, Sync and Colour control settings. In addition, you have integrated tone, crusher, reverb and delay effects to get to grips with too – an impressive amount of control indeed. If you have an existing studio or live set up, you’ll appreciate the fact you can process external signals through the filter, amp and FX section via the external input. One of the best modular synths for Roland AIRA enthusiasts and modular synth enthusiasts alike. In case you haven’t already noticed, buying a modular synth can sometimes be an expensive affair. However, the Behringer Neutron Analogue Synthesizer is a semi-modular synth that provides 56 patch points and a world of sound shaping and customisation at your fingertips all for under £300. There’s two 3340 analogue oscillators at your disposal which can be individually controlled, a pure analogue signal path based on the legendary VCO and oscillator waveform control blends so you can sculpt your sound using tone mod, pulse, sawtooth, triangle, sine waves. Best of all, the semi-modular architecture means you can make use of the default routings and start making music straight away without the need for patching – ideal for those just starting out. There’s a noise generator, an overdrive circuit, multiple stage analogue delay based on the Bucket Bucket Brigade Delay technology as well as a world of connectivity options including a headphone output, USB/MIDI implementation so you can hook up your DAW or MIDI keyboard and external audio input for processing your external sound sources. There’s a 3-year warranty and it’s designed and engineered right here in the UK. This is a modular synth for professionals at a beginner budget. Whether it’s your first-time creating music with modular synthesizers or you’re a seasoned pro, you’ll love this. When we play music, we want to have fun right? Well, the team at Moog have ensured making music with the Moog Grandmother Analogue Synthesizer is an extremely enjoyable experience by coupling the essence of a modular synth with a portable synthesizer keyboard so you can start creating music straight out of the box. This is easily one of the best modular synths in terms of playability and cost. You’re ready to start creating music and embarking on your sonic discovery straight away with this complete powerhouse. It’s semi-modular, so you can create sounds without patching, but the option is there thanks to the 41 patch points with 21 inputs, 16 outputs and 4 Parallel-wired Mults. There’s an easy to use arpeggiator and step sequencer with 256 steps and 3 sequence files, 2 analogue oscillators with selectable wave shapes, white noise generator as well as external input jack for processing external sound sources. There’s even MIDI and USB connectivity options too! There’s so much you can do with this modular synth it’s unbelievable. The 32-note Fatar keyboard with velocity sensitive keys is extremely responsive offering expert playability and a realistic feel that really brings out the dynamics of your playing. This is a great option if you’re looking for a complete solution and a modular synth that you can integrate easily into your live and studio set up. If you don’t want to invest in a full modular synth system, or you’ve already got your set up sorted and you just want to be able to add some intense bit and sample rate destruction to your sound, then the Roland Bitrazer Modular Crusher is perfect. At just over £200 this is a budget friendly introduction to modular synthesis and an extremely useful way of processing and manipulating your keyboard or guitar with modular synth processing power. This is designed to fit within your Eurorack system and your Roland AIRA synths, however they can also be used as a tabletop synth too, so you’ve got options based on what you want to use it for. You have a CV/Gate parameter control including sample rate, bit depth, and filter control whilst each 24-bit knob has over 16 million steps of resolution. There’s total control over your destructive sound via the resonance and signal bypass controls too. However, should you want to expand your sound, the Bitrazer can be customised and its internal signal path repatched via a custom application that works on your MAC and PC as well as your iOS devices. A simple drag and drop interface allows you to repatch submodules and choose which parameters are assigned to the high-resolution “GRF”knobs. This may be small, but it’s a modular synth that really packs a punch. Last but by no means least we have the Arturia Minibrute 2S Modular Sequencer Synthesizer. This amazing piece of kit combines the Brute Factor of the Minibrute series of synthesisers with a Eurorack style step sequencer, opening up a world of creative possibilities. We think this is one of the best modular synthesizers out there due to the fact you have 48 patch points and a comprehensive CV Gate modulation matrix offering superb control over the synthesizer and sequencer. You may have noticed that the keyboard has been replaced with a set of performance pads – well, this is to make way for the triple layer sequencer which gives you the space to save up to 64 sequences and even chain them together. The Steiner-Parker multimode filter is capable of self-oscillation, the noise generator is extremely useful and the ability to process external sounds via the external input is a great feature for those with existing instruments that they want to use in conjunction with this synth. The addition of mixable, multi-waveform VCO1 and VCO2 with sound shapers such as Sawtooth, Ultrasaw, Square, Pulse, Triangle, Metalizer and Sine waves is also a great addition, allowing you to completely change up your sound or take a signal and completely destroy it! Have fun! 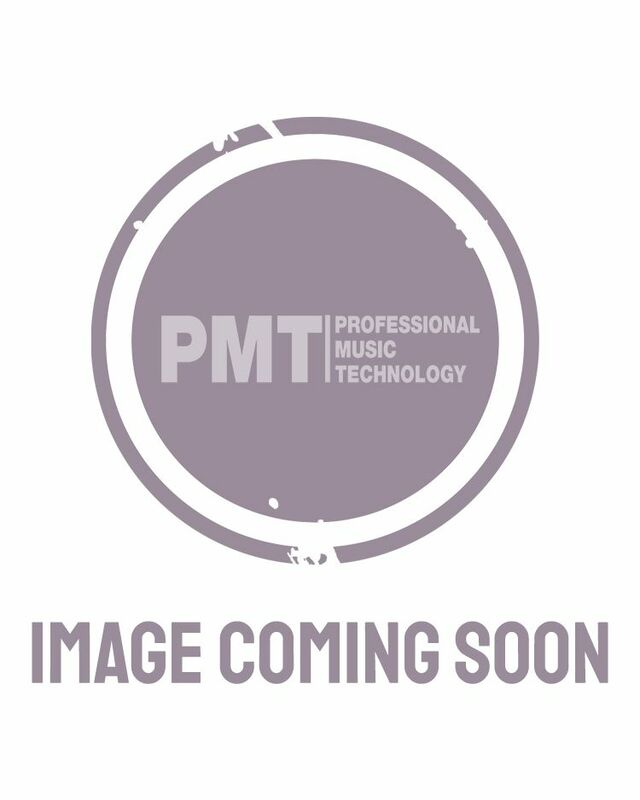 Shop a full range of synthesizers and modular synths over at PMT Online today or call in to your local PMT store to try some out for yourself and speak to our experts!